You have heard about French garage winemakers. Aura of mystique and unavailability surrounds the stories of strange people hanging around their small cellars acting more like crystal meth producers than winemakers. Ok, maybe not meth producers, but let’s say Bill Gates circa 1974. Croatia of course has a version of its own. Professor Ivo Duboković and his late father Jakov built a true wine paradise just across the street from the biggest (bankrupted) wine cooperative. Ivo isn’t a winemaking or viticulture professor, he’s a marketing professor and that alone should turn on the red light for those who are aware of power of branding in the wine industry. His top line of red wine, made out of grapes from the southern slopes of Hvar, on “appellation” called Medvid Bod, is something to behold. Medvjedica is actually a name of a endangered Mediterranean seal who once enjoyed life in a cave just beneath the vineyard itself, Medvid is supposed to be a male version, for those not versed into Croatian language gymnastics. 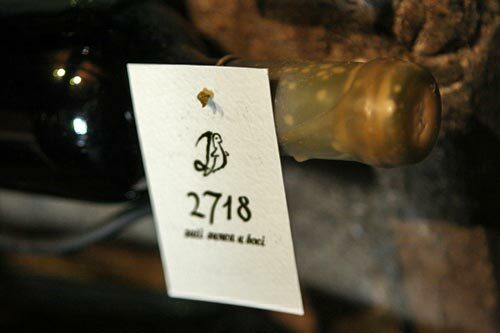 Medvid & Medvjedica are made from Plavac Mali grapes and their main difference is oak influence. Medvid has seen some new oak, and his female counterpart soaked in some used oak. Both wines are extremely juicy and delicious, not made for food in my opinion, you open this as a dessert and enjoy a glass with couple of special people. Please take note that it’s a dry red wine, I just think of it as dessert because I’m not a fan of sugar, and even if I was, this would win. Look for 2008, 2009 and eventually 2011 vintage when it gets released. Olive Oil Ice Cream – wait, what?